Online since October 1997 with continuous updates! Welcome to our award winning website for Wing Tsun Kung Fu and Realistic Self-Defense, part of the RalphHaenel.com network. For information on the next Free Trial Classes at Wing Tsun Kung Fu Vancouver go to our web site WingTsunKungFu.com! Visit the Wing Tsun Kung Fu Vancouver Blog. Also check out our new Photo Album. Photos will be added on a continuous basis. Our Wing Tsun Kung Fu Online Store is open, offering T-shirts, long sleeve T-shirts, Sweatshirts, hooded Sweatshirts and more. We accept Visa, Mastercard, American Express and Discover. More information at the special web site WingTsunKungFuShop.com. The 2007 edition of Ralph Haenel's book "The Reality of Self-Defense! What other martial arts schools won't tell you." is now available. 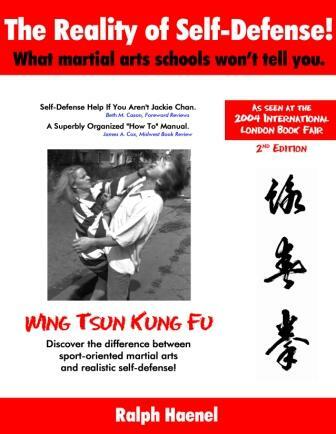 Read all Reviews and Reader's Opinions @ SelfDefenseBookReviews.com. The book's first edition has been presented by Foreword Magazine at the 2004 International London Book Fair. More information at the special web site www.MyBookatLondonBookFair.com. Visitors to our Wing Tsun Kung Fu School can find an extensive listing of answers to Frequently Asked Questions on our special open house web site at www.WingTsunKungFu.com! Visit us at our Wing Tsun Kung Fu School in Vancouver, BC. The location features air conditioning, mirrored walls, wooden dummy, heavy bag, speed bag and wall bag. Click here for photos and map of the school location. 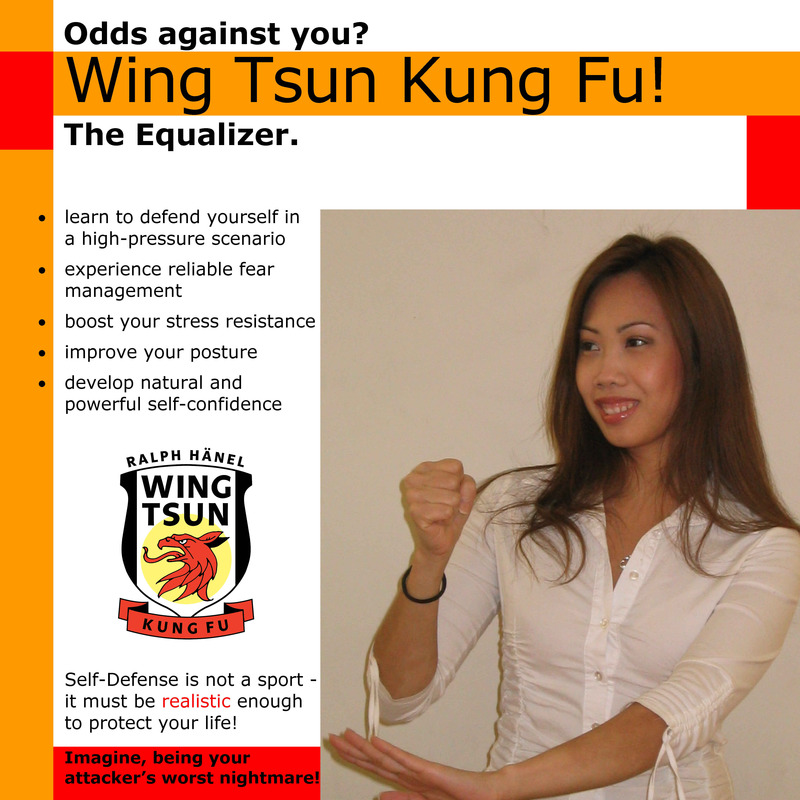 For those spending too much time in front of the computer check out our new interactive Wing Tsun section. For all your communication needs please go to: How To Contact Us! Click here for information about our Internet School Special. Don't forget to bookmark our page and enjoy reading by choosing from one of the various topics. Please come back anytime to see the additions and updates! Copyright � 1995-2014 Ralph Haenel, URL is service marked (SM), All Rights Reserved!